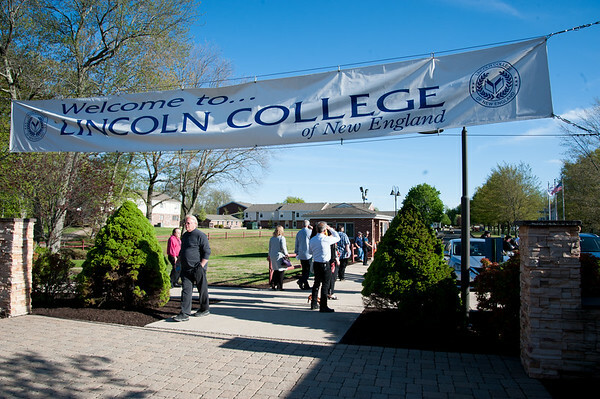 New Britain Herald - Southington pitching Lincoln College site to schools across N.E. Southington pitching Lincoln College site to schools across N.E. SOUTHINGTON - City officials and owners of the site of the soon-to-be-closed Lincoln College of New England are sending 150 letters to schools around New England in hopes of finding a replacement. Economic Development Director Lou Perillo said the town is keeping its search regional because a national search wouldn’t be practical. Lincoln College - formerly Briarwood College - announced in August that it would be closing on Dec. 31. Perillo said the property owner, Briarwood Real Estate Limited, “understands the potential” of the site. Dennis Terwilliger, president of Briarwood Realty Inc., general partner for the property, said that ideally he would like to see another school move in before Lincoln College’s lease expires on Jan. 31, 2020. Terwilliger said he would like to see the site remains a private school, adding that the town does as well. Lincoln College, he said, brought in $160,000 a year in property taxes. “If it were a school like Quinnipiac, which doesn’t pay property taxes, that would drastically affect the tax base,” he said. Terwilliger said he had seen “some interest” on his end, but “nothing solid.” He said he wants to have a solid plan in place by early next year. Teachers, he said, would need to have at least that long to prepare for a fall semester enrollment. Posted in New Britain Herald, Southington Herald on Wednesday, 17 October 2018 21:10. Updated: Wednesday, 17 October 2018 21:13.